Pallet Fork - Reach It! - Move It! - Crush It! 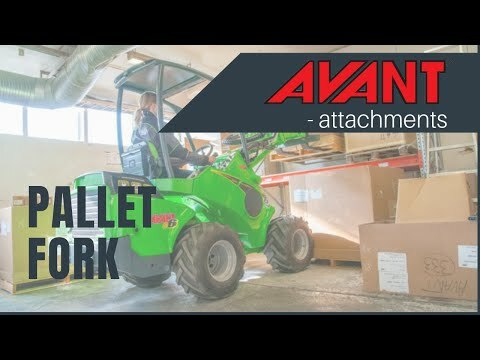 Avant pallet fork is the right attachment for lifting and handling of different types of materials on pallets. Fork width can easily be adjusted thanks to the quick lock mechanism. The forks are made of high tensile forged steel and designed in accordance with the ISO2330 standard. Avant is an excellent machine for load handling thanks to the precise steering and drive control. Compared with a conventional forklift truck Avant is superior when working outdoors and on terrains, be it winter or summer.